Okay, I am not going to lie. I admit to being somewhat concerned about what I was going to do when I reached the letter X in The ABC’s of G.O sub-series here on the countdown. The letter X is not the friendliest of letters when trying to find adjectives in general let alone one adequate to describe our lovely G.O. But, I think I found one.^^ We all know that G.O has an affinity for travel and that his life and career as an artist has allowed him many opportunities to see a great many parts of this world. Although the life of an artist, celebrity, etc., can be difficult at times in that they are often always under scrutiny, the perks of being able to see the world, experience cultures and meet people from all walks of life, is certainly enriching and I think G.O would agree. This is why I am comfortably saying that G.O is xenophilic. Categories: G.O Military Discharge, MBLAQ Musings, The G.O Files | Tags: Countdown To Discharge, G.O, G.O Cover Songs, G.O images, G.O in Australia, G.O in Japan, G.O in México, G.O in Peru, G.O in Venezuela, 정병희, 지오, Jung Byung Hee, Jung Byung Hee images, MBLAQ G.O, MBLAQ G.O Cover Songs, MBLAQ G.O images, MBLAQ G.O in Australia, MBLAQ G.O in Japan, MBLAQ G.O in México, MBLAQ G.O in Peru, MBLAQ G.O in Venezuela, Stevie Wonder, The ABC's of G.O, Yang Seung Ho, Yang Yeo Seob | Permalink. When I first discovered G.O, it was indeed his voice that held the spotlight initially. This is true. But as I began to learn more about him, the more intriguing and captivating he became. I have talked about many of his endearing and fine characteristics throughout this countdown series, often times repeating them incessantly. I cannot help it. The man has captivated me in a way that compels me to continue to discover more about him and share why he is so very special. One of the many endearing qualities he possesses is his humor. G.O has been sharing his unique wit with his fans since the beginning and he continues to do so in his own special way through today. I thought the perfect way to celebrate the next letter up in The ABC’s of G.O was to do so by enjoying a little taste of G.O’s charming humor. Categories: G.O Military Discharge, MBLAQ Musings, The G.O Files | Tags: Bi Rain, Countdown To Discharge, G.O, G.O images, G.O on Variety Shows, 정병희, 지오, Jung Byung Hee, Jung Byung Hee images, Jung Ji Hoon, Korean entertainment, Korean Variety, MBLAQ G.O, MBLAQ G.O images, MBLAQ G.O on Variety Shows, Strong Heart, The ABC's of G.O | Permalink. I sometimes try to imagine what this countdown series would have been like had I only filled it with Vocal Virtuosity moments. Then again, every song, video or the like shared here throughout this entire countdown has actually been that kind of moment. Early on in one of the blog posts here, I labeled G.O a virtuoso at his craft. And initially when the word synced up in my mind to describe G.O, it was because of his music. But as it turns out, a virtuoso can also be someone who is skilled in any artistic pursuit. And although music may be the auto default for G.O (for good reason), I think it can apply to him across many of his artistic endeavors. For the purpose of this countdown series however, I chose to single out his virtuosity as a vocalist. Today I want to fall into G.O’s incredibly smooth and sensual vocal stylings as captured in the opening track of Ty Project No. 1, Intro, because it is exactly what some of us can use right now to soothe our souls, and heat up these cold winter days. Categories: G.O Military Discharge, MBLAQ Musings, The G.O Files | Tags: Countdown To Discharge, G.O, G.O images, Happy Holidays, 타이키즈, 장군, 정병희, 지오, Jang Goon, Jung Byung Hee, Jung Byung Hee images, Korean Neo Soul, Korean R&B, MBLAQ G.O, MBLAQ G.O images, Neo Soul, Ty Project No. 1, TyKeys | Permalink. Allow me to let you in on a little secret about this series that is really not important, but I wanted to share because with all of the recent activity that has been going on this past week and a half regarding news of G.O dating, I have not written about it other than to post his update confirming it. Frankly, I was over the moon excited about the news. Subsequent to that news breaking, (as many of you know) there has been much too much inappropriate backlash directed towards G.O for the way in which it was announced and his response thereafter. I have not timely addressed all of this (nor will I beyond what I write here) because I have, since the beginning of this series, prepared many of the posts in advance (that’s my secret..shhhh). I have even had up to 14 future posts pending at one time. I have worked this way to help keep daily posts coming. Often when G.O would update his SNS, I would scramble and move posts around to accommodate those updates. I share this because for the remaining 37 days of his service (and for this countdown), I decided to no longer do that and just keep it very simple here. Categories: G.O Military Discharge, MBLAQ Musings, The G.O Files | Tags: Countdown To Discharge, G.O, G.O images, G.O One Shot, G.O's Military Service, 정병희, 지오, Jung Byung Hee, Jung Byung Hee images, MBLAQ G.O, MBLAQ G.O images, MBLAQ G.O One Shot | Permalink. 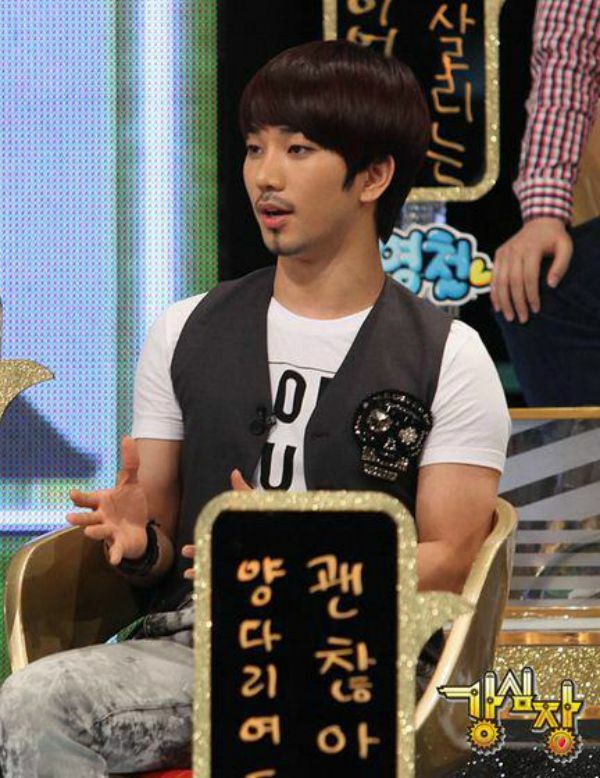 I know it is my extreme bias talking here but if we take a moment to discuss who is likely the most virile member in MBLAQ, G.O definitely holds the title. I mean, you have to agree to some extent that his virility was soundly in place perhaps even prior to his debut with MBLAQ. Am I right? I think maybe G.O was simply born virile. Hence, it is the perfect adjective to describe him as we further our way through the ABC’s of G.O here on the countdown. 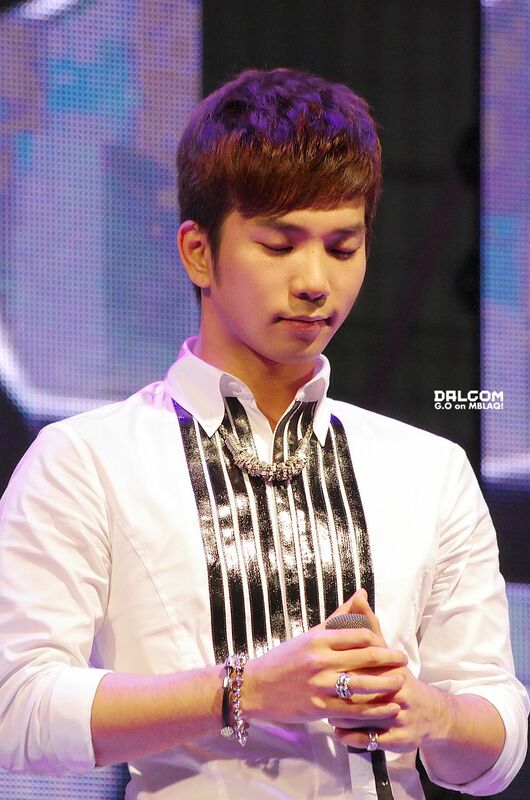 Categories: G.O Military Discharge, MBLAQ Musings, The G.O Files | Tags: Countdown To Discharge, G.O, G.O images, G.O in Taipei, G.O Live On Stage, G.O's Military Service, 정병희, 지오, Jung Byung Hee, Jung Byung Hee images, K-Friends Fireworx Concert Taipei, MBLAQ G.O, MBLAQ G.O images, MBLAQ G.O in Taipei, MBLAQ G.O Live on Stage, The ABC's of G.O | Permalink. I know that when it comes to 낙서 [Scribble], G.O does not have very much vocal time. 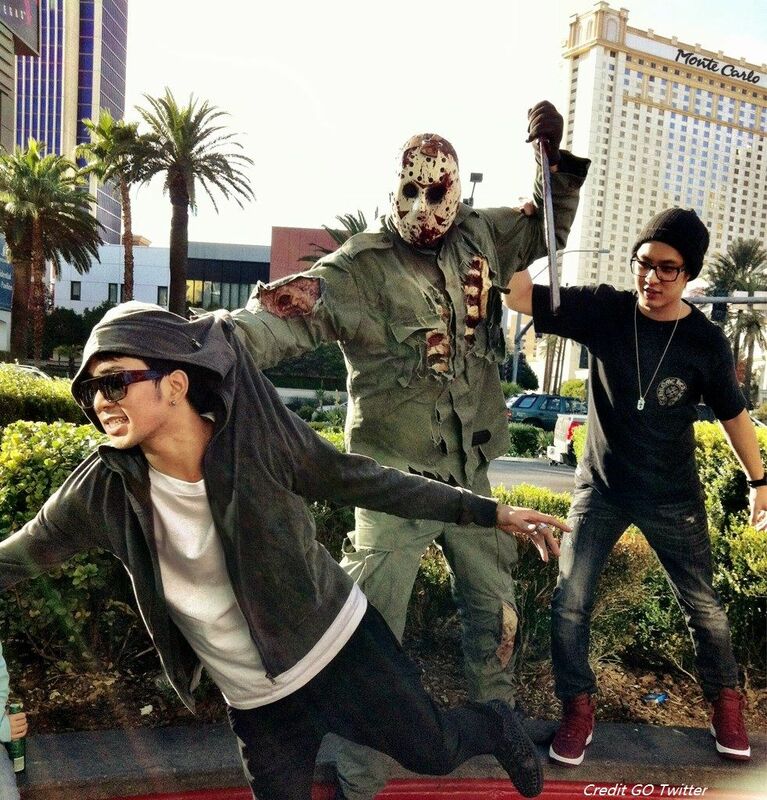 In fact, he barely has any and often shares vocal time in the song with Seungho. But what he does for the song is give it richness. His voice is the seasoning that flavors and enhances the emotion of the song. In the moments we do get to hear the honey of G.O’s voice, we are once again reminded of his virtuosity and that is why I will always place 낙서 [Scribble] among all other Vocal Virtuosity moments here on the countdown. Categories: G.O Military Discharge, MBLAQ Musings, The G.O Files | Tags: Countdown To Discharge, G.O, G.O images, G.O in Busan, G.O in concert, G.O Live On Stage, 정병희, 지오, Jung Byung Hee, Jung Byung Hee images, MBLAQ G.O, MBLAQ G.O images, MBLAQ G.O in Busan, MBLAQ G.O in concert, MBLAQ G.O Live on Stage, Vocal Virtuosity | Permalink.